A museum dedicated to classic gaming is bringing some nostalgic pinball gaming to PAX East. If you're the nostalgic type longing for the days of classic arcade gaming, when quarters were worth their weight in gold, there's a particularly old-school panel being hosted at PAX East this year that's just for you. The American Classic Arcade Museum, the US' premiere museum dedicated to the preservation and play of classic coin-operated arcade games, will be hosting a discussion on the state of the pinball game industry. The seminar will focus on the revival of pinball games, and the new pinball machines that are being manufactured today. Retro Pinball, a new company dedicated to recreating the bumper-action of days past, will also be joining ACAM's panel session and contributing to the discussion on how its pinball machines are developed and the state of the pinball industry. The panel will be held on Friday, April 6th at 4:30pm at PAX East in Boston, MA. "We are excited that the team from Retro Pinball will be participating in ACAM's panel discussion at PAX-East," said Mike Stulir of The American Classic Arcade Museum Board of Directors. "Our facility is focused on the games from the 1960's through the 1980's. The Retro Pinball crew is actively developing new pinball games based on the technology and play mechanics of pinball from that same era. Retro Pinball is a great fit for us, and they will bring a unique perspective to our session about the state of the pinball business." In addition to the pinball games panel, ACAM will hosting another PAX panel on coin-operated videogames, along with hosting a free arcade game of classic titles at the expo. ACAM is the first non-profit organization dedicated to the preservation of vintage arcade games. 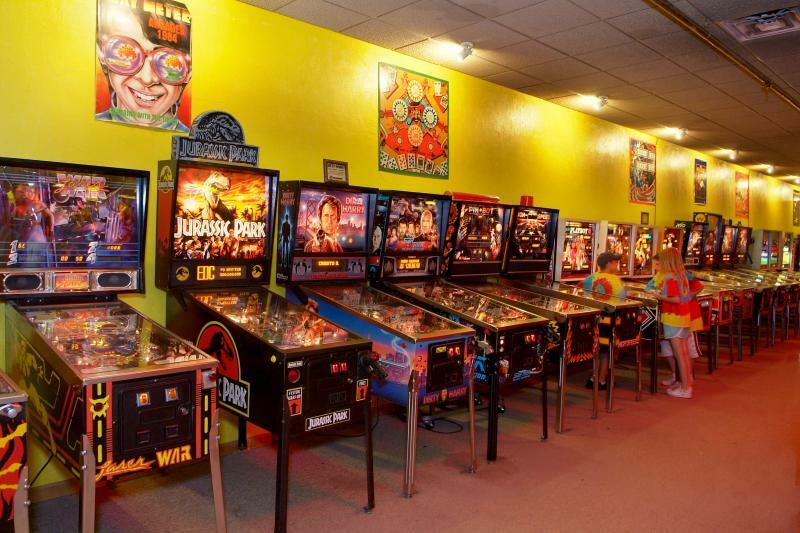 Located on the third floor Funspot Family Entertainment Super Center in Laconia, NH, the museum is host to over 300 classic arcade games, like Asteroids, Pac-Man, and Centipede. Interested parties can find more information at the Classic Arcade Museum's website.